Can Hamas Afford the Cost of Ending Gaza’s Isolation? 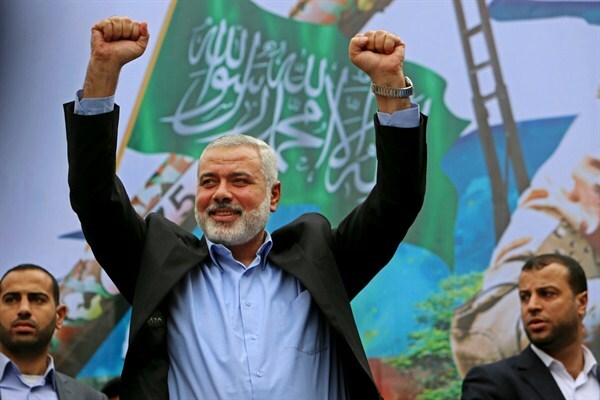 Hamas leader Ismail Haniyeh at a rally commemorating the anniversary of the militant group, Gaza, Palestine, Dec. 12, 2014 (AP photo by Adel Hana). The Gaza Strip will become “uninhabitable” by 2020, according to U.N. reports published in September 2015. This grim and alarming reality facing the nearly 2 million Palestinians living in Gaza is the result of both external and internal factors. Externally, successive Israeli wars in 2008-2009, 2012 and 2014 effectively destroyed the basic foundations of day-to-day life in Gaza. These wars were preceded and followed by land, sea and air blockades imposed by Israel, and later by Egypt. The blockades have led to one of the harshest regimes of collective punishment in modern times, limiting the flow of basic goods into Gaza, thwarting humanitarian efforts, crippling the movement of people in and out, and impacting sectors from health care to education.